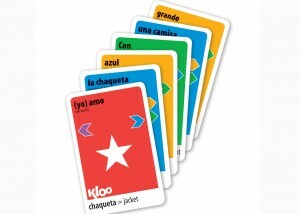 KLOO® uses a unique language system that simulates the way we learned our first language. 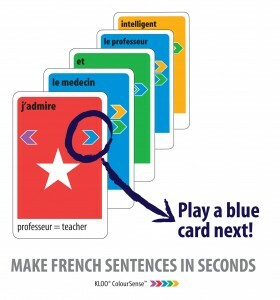 Through fun games you can teach yourself French, Spanish or Italian without ever having to work or study. Just play and the language will come naturally – at least doubling your rate of learning. » You can play on your own – or play with others. » You can play at home or on your travels. 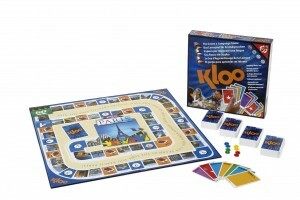 » Play board games like Race to Paris or card only versions. 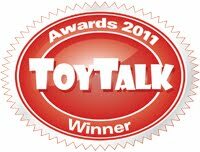 Whatever you decide, the same clever language learning systems that underpin every game, ensure that you learn fast and easily. » You won’t have to work, study or write. Just play and it will all come naturally. Much faster – or your money back! “People”, “Eating & Drinking”, “Places”, “Clothing” and “Everyday Objects”. Condé Nast Traveller Magazine rated KLOO as one of the “7 Must Pack items” before you go on any holiday. 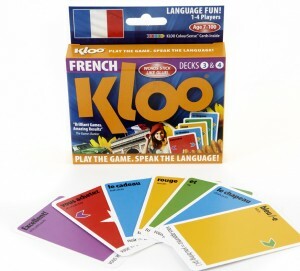 Take our double deck packs and play anywhere…and effortlessly learn a language as you play. All decks are themed around important aspects of a language such as People, Eating & Drinking, Places and Everyday Objects. As you learn all the words in one deck, move on to the next one, building your vocabulary as you go. Very soon you’ll be ready to talk to the locals. 4 is the number of Decks for each language. 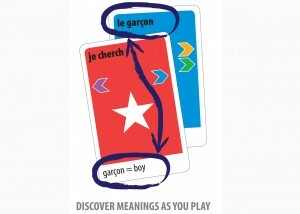 Each Deck contains different vocabulary based on an important language theme such as “People“, “Eating and Drinking“, “Places” and “Everyday Objects“. As you learn all the words in one deck, you move onto the next one, effortlessly building your vocabulary as you go. 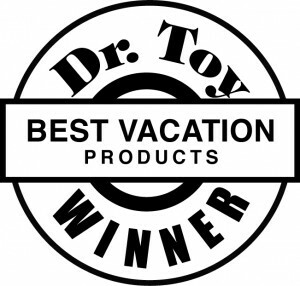 9 is the number of major awards that KLOO Games has won including ToyTalk’s Best Board and Card Game of the Year and Dr Toy’s Best Travel Game. 10 is the number of seconds we think it will take for you to learn how to make grammatically correct sentences in a foreign language with KLOO. Look at the picture below and see if we are wrong. 200 is, in percentage terms, how much faster you can expect to learn a language with KLOO, when compared with traditional methods. 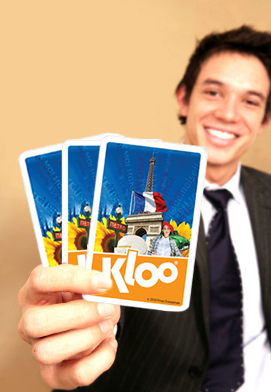 KLOO has embedded powerful language principles inside a game to make your learning easy. In many tests people learn even faster than that.